Huber Real Estate, LLC, Property Management, gives tenants the abililty to make repair requests online. 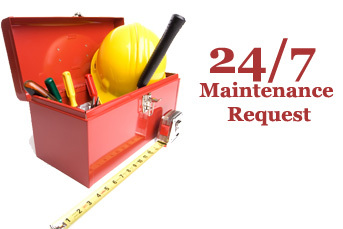 In cases of non emergency situations, please log in and submit your maintenance request. If you have an emergency, please call us immediately at 859.229.5365. If the situation involves a serious water leak, locate the main water valve in your rental property/unit and turn it to the off or closed position. Push reset button on disposal and/or use allen wrench to turn and loosen. Check themostat on hot water tank. Is pilot light lit? Check breaker panel. Turn off water fixure under sink. Turn off toilet at valve and notify maintenance. Check thermostat. Check button or pilot lights. Furnace cover on correctly? Is pilot light lit? Breaker tripped? Check thermostat, set correctly. Front and Back grills clean? Clean our drain hole. To better serve you, please make all non emergency maintenance requests online.